On this form you can debts and demands for customer or suplying companies. First you need to add new obligee data. Just fill the next form and press 'Save' button. Then you may add debts or demand for entered obligee. 1. Select obligee from obligee list. 5. 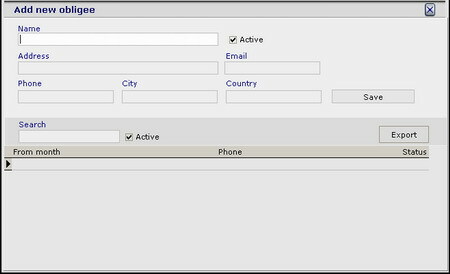 Select debts or demand radio button. 6. Press 'Save' button.